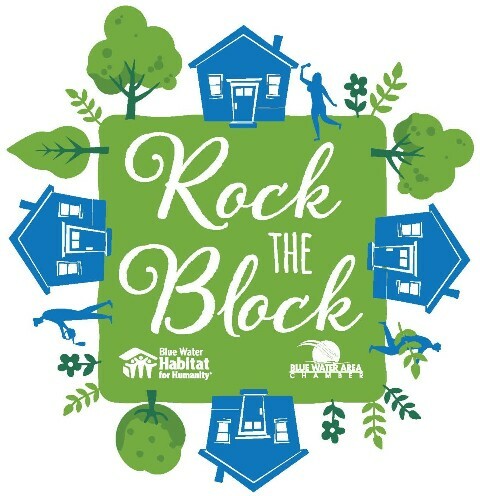 Join us on June 8th from 8:30 a.m. - 4:00 p.m. for our first ever Rock the Block event to bring the community together and beautify the 900 blocks of Howard and Pine Streets. This is a newly developed collaboration between Blue Water Habitat for Humanity and the Blue Water Area Chamber of Commerce. Please contact Kara at 810-985-9080 ext. 200 or kara@bwhabitat.org or Joyce at 810-985-7101, if you or your business would like to be a part of this event!